In lieu of firecrackers, here are the explosive clashes of 2011. Conflict area: In September, the actor-turned-senator revealed that he felt intimidated by the English language when he explained why he could join debates about the Reproductive Health Bill. Fighting words: Lapid effectively used the "poor me" tactic when he said, "Wala akong magagawa kung ipinanganak ako na mahirap, anak ng labandera, eh. Hindi ako nakapag-aral dahil sa kahirapan. Ewan ko ang ibang tao, baka nag-aral sila, baka naiinsulto pag ganon na hindi sila natapos. Eh ako, tinanggap ko talagang ganito. Anak lang ako ng labandera (I can’t do anything if I was born poor, the son of a laundrywoman. I wasn’t able to go to school due to poverty. I don’t know about some people, maybe they feel insulted if they’re in that state. I accepted my lot in life)." Yes, he conveniently left out the part where he earned a lot of money from his action films and could have used that to either go to school or hire some tutors. Smackdown outcome: Lapid won this fight, as he successfully turned the fact that he’s not the sharpest tool in the shed to yet another "rich vs. poor" clash. Talk about avoiding the real issue by bringing up another no-win situation. In any case, this "war" will go on for a very long time. Conflict area: Customer Sigrid Andrea P. Bernardo claimed that she found what appeared to be a dead caterpillar mixed with the Ginisang Kangkong that she ordered at the restaurant’s Timog Avenue branch. The so-called "caterpillar incident" happened on November 21, 2011. 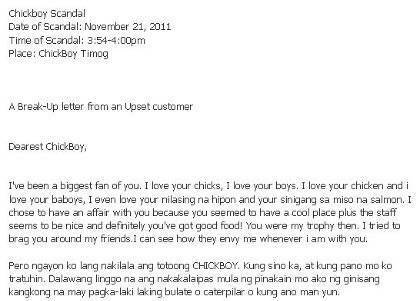 By December, Bernardo’s "A Break-Up Letter from an Upset Customer" (along with photos of the Ginisang Kangkong) had gone viral. Fighting words: An incensed Bernardo reportedly told the Chic-Boy staff, "Akin na ang kangkong na may bulate (Give me the kangkong with the big worm)!" She made the demand after the staff allegedly got rid of the "evidence." Calling a spade a spade (substitute with the appropriate noun in this case) always translates to a direct hit. Smackdown outcome: Chic-Boy management wants to charge Bernardo with libel, alleging that she was let loose by a competitor. There’s no clear winner in this smackdown yet-although that "break-up letter" sure packed quite a media wallop. We may be looking at months or years in court. Conflict area: In June, netizens were outraged when photos of a white puppy dangling from a clothesline were posted online by a young man named Jerzon Senador. Soon enough, the Philippine Animal Welfare Society (PAWS) got wind of Senador’s disturbing antics and quicky sued him for violating the Animal Welfare Act. 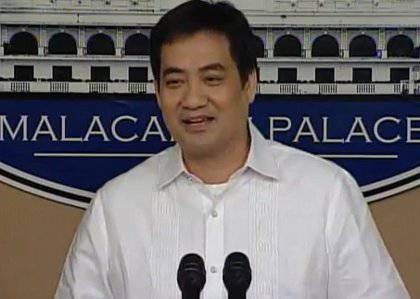 Fighting words: Realizing his folly (albeit too late), Senador went on "retreat mode." He took back an earlier statement that he also washed the puppy, whom he named Whitey, in the washing machine. He claimed had just been joking. Then, on his Facebook account, he wrote: "Gusto ko humingi ng tawad sa nagawa kong kasalanan sa aking alagang aso. Sana mapatawad niyo ako at pinapangako ko na hindi na mauulit (I want to apologize for what I did to my pet dog. I hope you (readers) forgive me and I promise never to do it again)." Smackdown outcome: PAWS had wanted to take in Whitey, but Senador insisted that he was taking good care of his pet. PAWS won this fight-but can somebody please tell us how Whitey is doing? Even if Senador has indeed learned his lesson, there are many others like him, so PAWS’ crusade won’t be over anytime soon. Conflict area: Before the Temptation Island remake was shown in July, word got around that co-stars Marian Rivera and Heart Evangelista were "feuding." Some reports alleged that Rivera started acting hostile towards Evangelista because she didn't like the idea of the latter co-starring with her boyfriend, Dingdong Dantes, in an upcoming GMA teleserye. Other reports claimed that the tension between Rivera and Evangelista started because Evangelista often poked fun at Rivera’s shortcomings-such as her quirky way of speaking English and such. Fighting words: According to PEP.ph, while at the airport on June 13, Evangelista's mother, Cecile Ongpauco, allegedly yelled at Rivera, saying, "Stay away from my daughter!" At the time, the Temptation Island group had just arrived from Paoay, Ilocos Norte, where they filmed the final scenes of the movie. If this incident indeed transpired, Evangelista gets points for bringing in the big guns. When cornered, call in your allies-and there’s no bigger ally than a concerned mother. Smackdown outcome: Based on sympathy points, Evangelista won this smackdown. Rivera was hadicapped by the fact that she’s been portrayed as the antagonist in these showbiz "girl fights." In the past, actress Bella Padilla had accused Rivera of cornering her in the ladies’ room and subjecting her to a jealous tirade, as Padilla had expressed she was fond of Dantes. 6. EDWIN LACIERDA vs. "LEFTISTS"
Conflict area: In the wake of a transport strike in September, presidential spokesperson Atty. Edwin Lacierda posted on his personal Twitter page: "Whether they would admit it or not, the PISTON-led transport strike is a dud!" He then also tweeted: "Noticed how leftists are so onion-skinned? Tinawag lang perjuicio ang strike, pumputok ang butchi nila! Mahilig bumanat pero mga pikon pala (You call the strike an inconvenience, they get mad. They like to criticize but when you criticize them, they get offended)!" PISTON stands for the Pagkakaisa ng mga Samahan ng Tsuper at Operator Nationwide. Fighting words: It’s not so much what Lacierda said, but what he didn’t that probably irked PISTON members. In a 24 Oras report, it was revealed that Lacierda told GMA News that he wouldn’t say sorry for his tweets. It’s the classic "proactive deadma" move. Smackdown outcome: Lacierda may have somewhat won this smackdown-but his seemingly taunting tweets didn’t exactly make him look good. Sometimes the victor just looks spoiled. We have a feeling that Lacierda and the those he referred to as "leftists" will have many more encounters in the future. Conflict area: It all started in 2007, when Pimentel filed an election protest before the Senate Electoral Tribunal because of the alleged fraud in Mindanao. Zubiri was part of then-President Gloria Macapagal-Arroyo’s ticket. Pimentel alleged that the Arroyo administration had ordered its minions to "transfer" the votes that were meant for him to Zubiri’s tally. At the time, Pimentel and Zubiri were vying for the 12th and last slot in the Senate. Fighting words: In an interview published in the Philippine Daily Inquirer in July this year, Pimentel said, "Migz Zubiri should resign because it looks like he is the personification of Dr. Jekyll and Mr. Hyde in this country." Pimentel’s never-say-die attitude about his cause was something else. The dude kept at it no matter what. 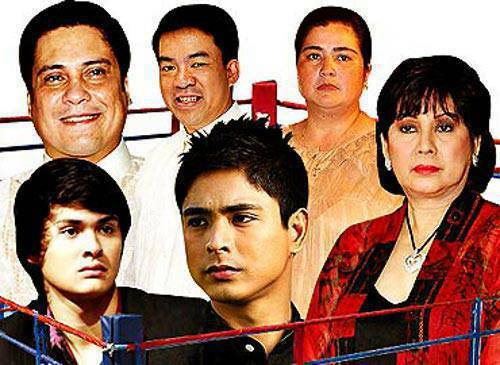 Smackdown outcome: In August, Zubiri made a move that was unprecedented in Philippine politics. He resigned from the Senate just as Arroyo was being charged with electoral sabotage for the 2007 elections. In his resignation speech, Zubiri said, "I am resigning because of these unfounded accusations against me and these issues have systematically divided our nation and have (cast) doubts in our electoral system which has affected not only myself, this Institution, but the public as well." Zubiri maintained that if cheating occurred he knew nothing about it and didn’t ask for it to be done. 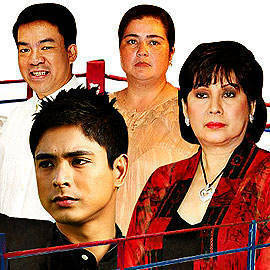 Pimentel won the smackdown, as he was eventually declared a senator. But who can give him back those lost Senate years? Conflict area:Pacquiao may have encountered Mexican Juan Manuel Marquez in the boxing ring in November, but the real fight started after his much-debated victory. That was when almost everyone became sports analysts and insisted that Marquez was robbed. It wasn’t just legit boxing pundits making these "expert statements." People who didn’t know a TKO from a KO turned into boxing analysts and spewed their ill-argued "verdicts" on cyberspace. Fighting words: Sadly, Pacquiao lost his cool when he slammed veteran sports analyst Ronnie Nathanielsz for criticizing his performance against Marquez. Pacquiao went for the verbal version of "indiscriminate firing" when he hit Nathanielsz "below the belt" with this statement: "We know naman Ronnie Nathanielsz is not a real Filipino, adopted lang siya. Wala siyang dugong Pilipino, hindi natin masisisi siya kung anong paniniwala niya (We know Ronnie Nathanielsz is not a real Filipino, he’s just adopted. He has no Filipino blood, so we can’t blame him for thinking that way)." Pacquiao was referring to the fact that Nathanielsz was born in Sri Lanka and is a naturalized Filipino. Smackdown outcome: To paraphrase a quote from the movie War of the Roses (1989), "There’s no winning here, only degrees of losing." No wonder Pacquiao had to buy himself a posh yacht to feel better. And, after all, he did triumph over Marquez. It’s just that there was no homecoming motorcade this time around. <>Conflict area: Guidicelli was rumored to have been sensitive about the fact that his girlfriend Maja Salvador played Martin’s love interest in the ABS-CBN primetime soap, Minsan Lang Kita Iibigin. Then, in September, the Star Magic Ball, was held at the Manila Peninsula Hotel’s Rigodon Ballroom. After the event, ABS-CBN stars continued to party at the hotel’s Salon de Ning. There, according to the unnamed source quoted by PEP.ph, Guidicelli allegedly "started a fight." PEP.ph also cited another unnamed eyewitness, who revealed that Martin retaliated by punching Guidicelli, who was reportedly "later seen with a bloody mouth." <>Fighting words: In a PEP.ph interview, Martin revealed that he was keeping his distance from Salvador. In fact, he even asked their handlers not to have them sing a duet in any of their appearances. He explained, "Ayoko nang mangyari pa kung anuman ang nangyari sa Star Magic [Ball], sobra ko nang pinagsisihan ’yun (I don’t want anything like what happened at the Star Magic Ball to happen again. I really regret that)." <>Smackdown outcome: Based on unconfirmed accounts of the brawl, Martin seemed like the winner. But Guidicelli still has the girl. Well, at least, the public was entertained by the thought of a glamorous altercation for a change. <>Conflict area: The so-called Aquino-Marcos feud started with the two men’s fathers-Senator Benigno "Ninoy" Aquino Jr. and former President Ferdinand Marcos. It got worse when the former was assassinated and the latter was accused of having a hand in it. Then, Noynoy’s mother, Cory, got installed as president after Marcos was ousted via People Power (EDSA I). Today, you have Noynoy as president and Bongbong as senator-and the two have been trading postshots throughout the year. Perhaps, their most hostile one involved the long-delayed burial of the remains of Bongbong’s father. The Aquino government has continued to reject the Marcos family’s appeal for a Libingan ng mga Bayani burial. <>Fighting words: "It is very hard to deal in good faith with somebody who does not have one word on the subject," said Bongbong in a GMA News Online report. This was reply when he was asked how he felt about Noynoy nixing their appeal to bury the elder Marcos’ remains at the Libingna ng mga Bayani. <>Smackdown outcome: Noynoy and Bongbong know how to push each other’s buttons. By the way things are going, it looks like the decades-old Aquino-Marcos feud will go on. Heck, it’s already part of the country’s history. <>Conflict area: Montenegro filed "child abuse" and "oral defamation" cases against Rama at the Quezon City Prosecutor’s Office last Friday, September 30. Rama, who heads Royale Artist Management, is the talent manager of Montenegro’s daughters Alyanna Asistio, 17, and Annika Asistio, 15. In her affidavit, Montenegro stated: "Rama failed to protect the interests of my children by making them work even during school hours to the detriment of their grades, giving them the impression that the same was required by the network and that they either ’take it or leave it.’ I even learned that when she was alone with my children, Rama would convince my children to choose work over their education, giving them the impression that they need to give up their education to be able to be successful in their career." Rama vehemently denied the charges. <>Fighting words: On December 6, Rama blew her top and fired off a vicious tirade against Montenegro, saying, "Sinungaling ka, hayop ka. Baboy ka (You’re a liar, you’re an animal. You’re a pig)!" (And that’s not even half of it.) The two were at a clarificatory hearing at the the Quezon City Prosecutor’s Office. Montenegro told Manila Standard Today that Rama tried to punch her right in front of a state prosecutor. Bottom line: Whoever said actions speak louder than words hasn’t met Rama. <>Smackdown outcome: The hits just keep on coming. Rama proceeded to charge Montenegro with theft. PEP.ph reported that in her affidavit, Rama claimed that Montenegro has failed to return the following items to her: 10 antique accent chairs, 65-inch Sony TV, designer frame set, accent table, three beds with headboards and mattresses, an antique cabinet, as well as a set of BelKraft stainless steel pots and pans. Rama also filed attempted kidnapping charges against Montenegro. Montenegro countered by charging her with libel anew, as well as "unjust vexation." If you’re judging this smackdown based on the "voice quality," then Rama wins hands down. <>This encounter is already listed in SPOT.ph’s To 25 Dubious Achievement of 2011, but, heck, it deserves a place here, too. The video clip showing Davao City mayor punching a local court sheriff in July went viral and was even covered by Al Jazeera, BBC, and Gawker.com. <>Art by Warren Espejo, with screenshot from ANC and Facebook.